Lighting the Chanukah candles has a beautiful simplicity and warmth, especially as the days get colder, bringing Jewish families together to celebrate. Please join us in celebrating the Festival of Lights and share these opportunities with your families and friends. 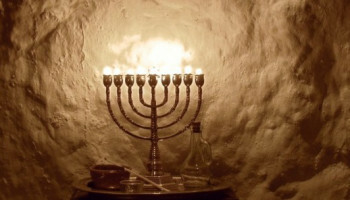 See HERE for the Chanukah Overview. All it takes is a Menorah, and you can create a meaningful Chanukah celebration! Share your Chanukah moments with us on Facebook using the tag #ChanukahSelfie. Register here!